To beat the cut-throat competition posed by the peer groups, Samsung announced its very voice virtual assistant with the launch of Galaxy S8. Entitled Bixby voice, it is a virtual assistant just like Siri for Apple users and Google Assistant for Google Pixel users. Announced with the launch of Samsung Galaxy S8, the Bixby Voice is here now and you can test the beta version. Yes, you heard that right and we are here to share with you all the simple steps that you need to follow to try Samsung Galaxy S8 Bixby Voice early before anyone else. If you are a Galaxy S8 or Galaxy S8+ owner, you will need to open the Bixby beta page and sign up for the beta. 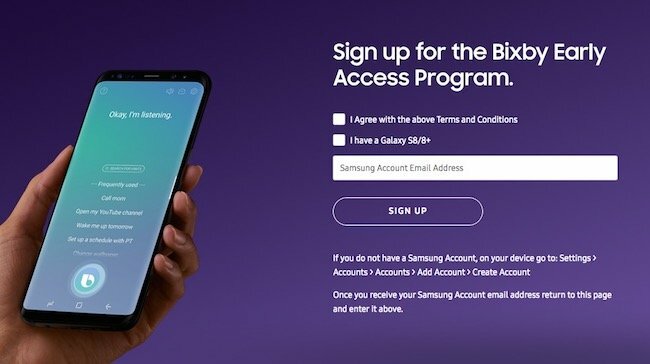 You got to have a Samsung account to get the access though Bixby Voice. Given below are the steps that you need to follow and try Samsung Galaxy S8 Bixby Voice early. 1. Open Bixby Voice Early Access website. 4. Enter your Samsung Account email address in the beta page and agree to terms for early access. 5. Click the big purple Sign Up button. That is it, this is how you can access Bixby Voice early on your Samsung Galaxy S8 phone. Please note that there will be a limited amount of space for users in Bixby Voice early access. Besides, only a limited number of users will get to participate. You don’t have to pay to use Bixby Voice. After you sign up, you’ll get the email with links to access and updates to the app. What Bixby Voice Can Do? Bixby voice is extremely promising assistant that will do your work on your behalf like you will not have to text instead you can ask Bixby Voice to do that for you. Besides, you can change your settings or make a call by simply holding down the Bixby button and speaking to your Samsung Galaxy S8. For now, Bixby is in beta stage, but it is anticipated to get better over time as it learns and adapts to each user. The company is claiming that users can simply speak like talking to any other human being and Bixby will understand nearly everything you say. That’s all from us for now. 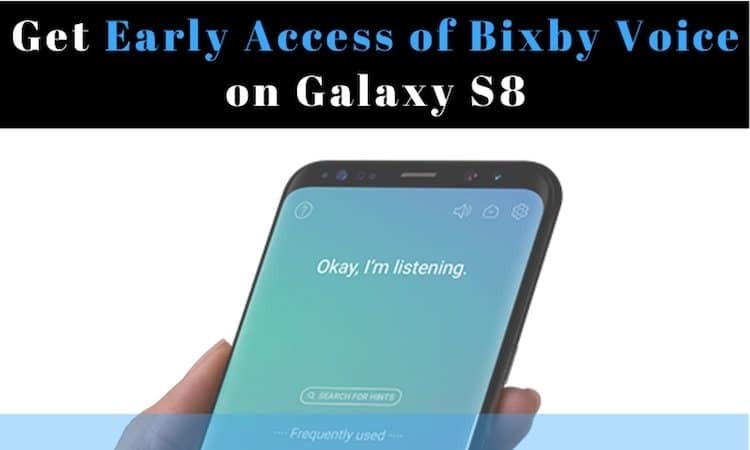 If you are interested in improving your Samsung Galaxy S8 experience with the cool features of Bixby, you will have to follow simple steps written that will help you to get early access of Samsung Galaxy S8 Bixby Voice. 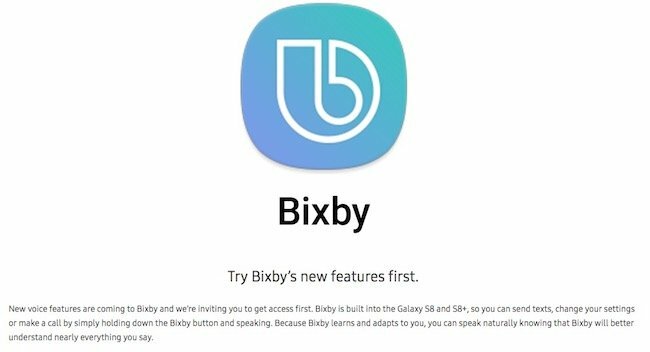 The release of Bixby Voice will be a bit delayed as we can make out. Till then you can try the Samsung Galaxy S8 Bixby Voice early before anyone else with its beta version. We will keep you posted about when will it will be finally there for all the users of Samsung S8. Stay connected for more updates from the world of technology. Keep sharing your views, reviews, suggestions with us. Leave your comments below if you are facing any problem on how to get access to Bixby Voice early.